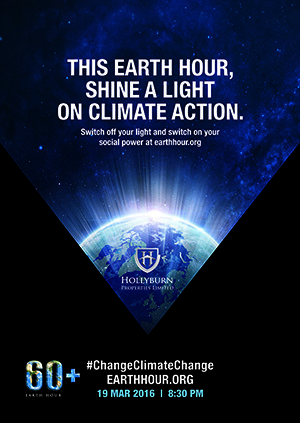 Hollyburn Properties proudly supports Earth Hour, a global movement to help‪ #‎ChangeClimateChange. Please consider turning off the lights in your rental apartment, and refraining from using the gym and laundry room for one hour, tomorrow, March 19th. Be the change!